The black Canadian vegan community came together to feast in celebration at the first ever Toronto Black Vegan Festival on Sunday at Artscape Wychwood Barns. Hosted by the Black Vegans of Toronto, a support group for black Canadians looking to make the switch to a plant-based diet, the festival featured various black vendors selling vegan products, including food, clothes, and cosmetics. “The idea came to me to present vegan options to traditional African and Caribbean foods in an exciting cultural setting,” said festival manager Joe Thomas in an email statement. The festival aimed to not only bring together the black vegan community, but to also expose others to a new lifestyle. “When people like us are already educated in the vegan world, festivals like this help to enlighten people who are not in this world,” said Jacqueline Taffe, vegan chef and creator of Natures Butter. Taffe believes that a better awareness about food can help some make the switch to a plant-based lifestyle, especially with so many Caribbean diets being so dependent on meat. “We were never actually supposed to be eating this much meat. So when people like us say that we’re vegan, we can teach others the same thing,” she said. Melissa James, founder of Eastend Vegan, echoed the sentiment and emphasized the importance of being open to a healthier diet, especially within the black community. She said she hopes that more people will broaden their tastes and try to have a better understanding of the connections they have with food. “What people don’t realize is that the impact of not just slavery, but just leaving home takes away a lot of connections,” said James. According to James, many immigrants try to recreate tastes of home with what they have. “You start to adopt a new culture and you no longer have the connection the way you would back at home,” she said. In order to maintain these connections, people like Owyna Alexander, founder of Caribbubble, wanted to create a product that managed to tie a part of their culture into a vegan diet. “I love bubble tea and I was looking for more relatable flavours to my culture,” she said. Alexander offers the popular drink in various traditional Caribbean flavours, including sorrel and ginger beer. She said she aims to provide a more accessible version of the drink, in terms of both flavours and dietary needs. “I wanted to be able to provide it to everyone, and I didn’t want the vegans to be left out,” said Alexander. With the variety of innovative and flavourful products available at the festival, many vendors wanted to combat the stereotypes and misconceptions about vegan food, such as the supposed lack of flavour and food options. “Flavour’s the biggest [misconception], just because people are so used to eating a certain way,” said James. While it is possible for people to emulate their favourite foods while eating vegan, she said that people need to realize that there will have to be some adjustments made to a recipe and that a change in flavour doesn’t necessarily mean a lack of flavour. “It’s a first step towards health, so you have to understand that there will naturally be less salt and it’s going to change the flavour because you’re not putting in the same things you used before,” she said. With this being the first event of its kind in Toronto, many vendors hope that this will encourage more black Canadians to become more open to a vegan lifestyle and prove that it is doable for people in all communities. “A misconception is that veganism is mainly for white people because that’s what you see in the media,” said Shaleena McGregor, owner of The Sweet Tooth Vegan. McGregor personally went vegan after doing research into the dairy industry and finding out the impact it had on animals. She now strives to provide healthier alternatives to normal baked goods and reach out to more of the black vegan community on her podcast. “You don’t really see much diversity, so I’m glad that this event is showing that veganism goes across all races,” she said. With the event’s success, the Black Vegans of Toronto are planning for more events, starting with a Fall Harvest Festival in September. The hope is that these kind of events will educate more black Canadians on a vegan lifestyle and encourage them to make the changes to their diet. “In all communities, and especially the black community, we’ll start to see that we actually have a connection to this food,” said James. The endless food options surrounding the Ryerson University campus can be seen as either an advantage or a daunting task. With so many choices, it can be difficult to narrow down exactly what you want to eat. While most students opt for big name fast food chains, some head over to the often overlooked food stands, located across from the Student Learning Centre, for a delicious meal or dessert. Among the cluster of food stands and trucks, you’ll find Crumbs Patties, Choco Churros, and La Marquesita. Crumbs Patties is a stand that sells patties, which are pastries that contain different kinds of fillings, most commonly beef. “What makes us different is the options,” said Pierre St. Rose, founder of Crumbs. Customers at Crumbs Patties love ordering the beef, curry chicken, or their signature beef and cheese patty. Apart from these, Crumbs also offers vegetarian options. “We do a stuffed patty and a deluxe patty so it’s not just your standard patty shop. We have modernized it,” said St. Rose. He believes in giving each customer great service. He enjoys talking to customers, asking how they’re doing and ending each interaction with a ‘pound’, also known as a fist bump. “A thank you is one thing but also giving the pound is saying much respect, just from a culture standpoint,” said St. Rose, who is Jamaican and Trinidadian. He typically runs the stand with his cousin and a few other employees. They were once located just across the street, but after a big restaurant bought the building, they decided to temporarily move over to the stand that they have now. “It’s working but it’s small for the operation we have,” he said. He is currently working on opportunities to expand Crumbs. This sentiment is something that is shared between the stands in this area. At Choco Churros, they are also hoping to expand the business. Sergio Herrera, one of the employees, said that they want to have a place with an actual cafeteria and provide more places for people to sit in. The stand opened up in downtown Toronto in October of last year, but the business was actually started by Herrera’s cousin in the 80s in New York. “What makes us special around this area is that no one else is selling this kind of dessert,” said Herrera. Churros are fried sticks of dough covered in cinnamon sugar. This stand also offers different sauces on top, the most popular being caramel and chocolate. Making sure their churros are affordable is one of the philosophies of the business. “You can get three big churros for less than $10,” said Herrera. Their other philosophies include providing good customer service and ensuring that the food is always fresh. “I come one hour before opening so I can make fresh dough for you guys. They’re actually the freshest churros in town and what’s a churro if it’s not fresh?” said Herrera. Like Choco Churros, La Marquesita, the newest food stand to open up, also values fresh food. La Marquesita’s most popular dish are the taquitos, which are a tortilla rolled up around fillings like beef or cheese. Rather than the hard shell tacos that people are used to buying, the use of 100 per cent corn tortillas indicate that the food is authentically Mexican and not Tex-Mex, the Americanized version of Mexican food. “In Mexico, we eat taquitos all the time - in the morning, brunch, dinner, every time - and we wanted to bring that to Toronto,” said Morales. Their visible corner spot is an asset according to Morales, but like Crumbs and Choco Churros, La Marquesita also struggles with the small space. “Sometimes many people come to eat but we don’t have too much space to get more people in,” said Morales. Apart from the small space, the cold weather is also something that causes some difficulty for these food stands as people do not want to spend too much time outside during the winter. This forces vendors to get creative with their stands. 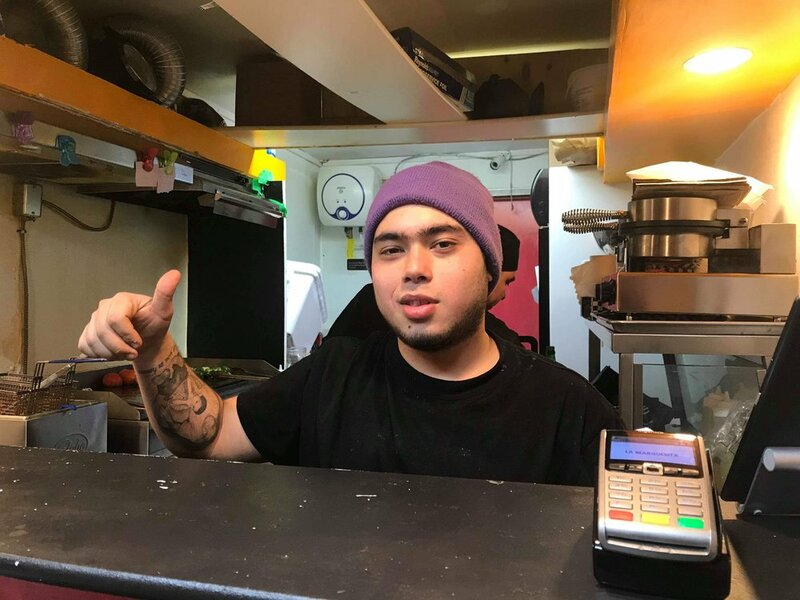 “We don’t have an indoor spot so sometimes I put the heater out here so people can get warm,” said Herrera, referring to a small heater that attaches to the counter of the stand. “Being around a school, yes you have the traffic, but at the same time when there’s weather issues like the cold, you don’t have the opportunity to have people funnel into somewhere like a mall,” said St. Rose. The convenience and closeness of the location brings a lot of Ryerson students to these businesses. “I love this business because everyone is happy when they come get churros,” said Herrera. He says students love sweets and the quickness of the service. “It helps them have better performances in their classes because of all the sweets,” he jokes. “This is our first spot and you’ll be part of our story if you get churros from here,” said Herrera. Despite the convenience of the location, bringing in new customers can be a challenge for these businesses. “You just have to find ways to interact with the student body as far as just marketing from the same old spot or with social media,” said St. Rose. He said marketing on social media can be difficult. However, he encourages students to try new things. 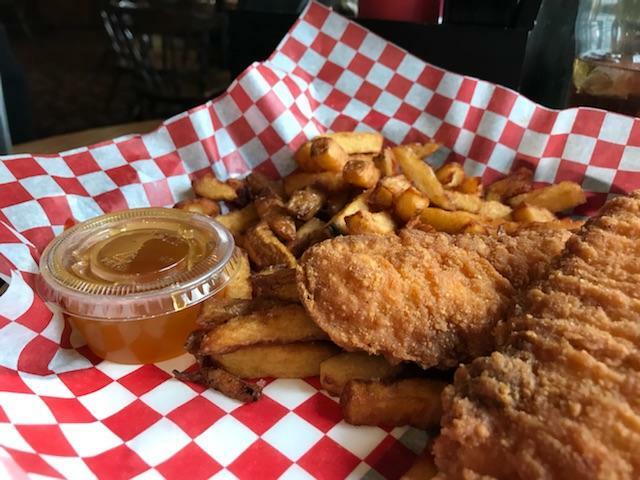 “We offer a modernized food item that’s been around for so long and provide an option that has been remixed, along with other creations,” said St. Rose. Students get 10 per cent off at La Marquesita, but they’re working on expanding the menu and creating new discounts that will be exclusive to Ryerson students. “Many students have a budget for food and they don’t want to spend more money than that, so that’s why we want to do many specials for students,” said Morales. The next time you need to satisfy a food craving, consider supporting these local businesses as they offer a great variety of food options for affordable prices. Nestled along the edge of Little Portugal in Toronto, Fonda Lola has brought traditional Mexican cuisine to the west end of Toronto for the past five years. This year, Fonda Lola is participating in one of Toronto’s most anticipated food events, Winterlicious. Rafael Bastidas, general manager of the restaurant, said Winterlicious has given them the opportunity to explore with their menu based on what their chef has available at the time. “We want to experiment with our menu in Winterlicious to see how people are reacting to our food and if we have to promote some dishes more than others,” he said. For a fixed price of $33 plus tax and gratuities, Fonda Lola offers a prix fixe menu of a select number of appetizers, entrées, and desserts. Fonda Lola offers the staple dish of chips and salsa as an appetizer (usually $12), made with house-made corn tortilla chips, and pico de gallo that is seasoned with red onion, lime, and cilantro. The tomato salsa is tangy but not overly sweet like many store-bought salsas. The tortilla chips are light, not too salty, and adds a great crunch to the house-made salsa. For the main course, they have Carnitas Tacos (usually $16), which contains Mexican pork confit topped with red onion and cilantro. The pork is tender and moist and pairs nicely with red onion and cilantro. Fonda Lola also sources their pork meat from a local Portuguese supermarket in Toronto. However, if customers are looking for vegan or vegetarian options, they also serve Cauliflower Tacos (usually $16). The dish includes cauliflower sautéed with garlic and guajillo pepper, topped with cilantro, red onion, and house chipotle and aioli. Desserts at Fonda Lola typically range from $8-$15. On their Winterlicious menu, they featured the Tequila Flan (vegetarian), which is not a regular item on their menu. It’s made up of a sweet custard infused with tequila and cream cheese, baked with a layer of house-made caramel. It has a smooth, creamy, light texture with a slight taste of alcohol, the sweetness of the caramel adding depth to the tangy tequila and the cream cheese. Winterlicious has made its 16th annual appearance in Toronto this year, with reportedly over 200 participating restaurants. From January 25 to February 7, Torontonians are encouraged to explore the city’s diverse culture through the food scene. “They showcase diverse cuisine, they’re talented chefs. This is an opportunity for people to dine out and explore Toronto’s food culture,” said Eirine Papaioannou, event support supervisor at the Toronto Office of Partnerships. Hosted by the city, customers and avid food lovers get a chance to grab a taste of Toronto’s ever-changing restaurant industry. The event allows both newcomers and native Torontonians to expand their taste buds at cuisines for a reasonable price. Fixed prices for three course meals vary from restaurant to restaurant. There are three fixed prices for both lunch and dinner includes: lunch for $23, $28, $33, and dinner for $33, $43, $53. “The event is open to everyone who lives here, or is visiting here, and because of the price points it is accessible at different levels,” said Papaioannou. At toronto.ca, interested customers can customize their search for the type of cuisines, neighbourhood, and price point in order to find exactly what they’re looking for. The search engine also allows for visitors to easily find information on which restaurants offer vegan, vegetarian, and accessibility options. “Toronto has one of the best culinary scenes, such as diversity of food types...this is a way for people to explore the world in their hometown,” she said. Winterlicous can be a way to narrow down possible food options for customers who have a hard time deciding on what to order from a new restaurant. Prix fixe menus give them a taste of the restaurant, and a new culinary experience that can seemingly be five to eight dollars cheaper than ordering from the regular prices. They may also be pleasantly surprised by great hospitality, the atmosphere of the restaurant, and other aspects that could drive them to visit again. Some customers may be disappointed that even with the set prices, their bill can almost amount to the same price as if customers had ordered from the regular menu. This is because the prix fixe does not cover alcohol, taxes and gratuity. For students on a budget, Winterlicious would be a great option if they're willing to; spend some money to try something new, go out for a date night, a special family function, or a night out with friends. However, students should be wary that even with the fixed prices, their overall meal can still cost four times more than your everyday Big Mac combo at McDonald’s. Does your mood fluctuate as much as Toronto's weather? We've narrowed down a short list of cozy cafes in the downtown core that serve different purposes depending on what it is you're looking for, check it out! Jimmy’s is a veteran face in Toronto’s café scene, with eight locations scattered across the city. What makes the Gerrard Street location especially appealing is its spacious three-floor interior, reminiscent of a cozy, Victorian house. The first floor is great for chats over coffee while the third floor doubles as a rental space for meetings. The second floor is the study hub, with spacious tables and single booth spots lined along the walls. An abundance of outlets, comfy cushions and a quiet but diligent ambiance make it the perfect spot to sip various “Jimmy”-named blends (including Dean, Hendrix and Hoffa) and grind through some assignments. Jimmy’s also offers an impressive assortment of pastries and finger food for your mid-study snack fix. The Black Canary Espresso Bar is somewhat of a hidden spot, making up a small corner of the beloved Silver Snail comic bookstore. They’ve got a few tables and single bar stools along the window, making it the perfect spot to get some work done while gazing out onto the hustle and bustle of Yonge Street. There’s something cozy and a little special about being tucked away in a secret corner of the lively Yonge and Dundas area that really gets those productive juices flowing. Also, the expansive windows give the space lots of natural light, perfect for leisure reading or journalling. Their menu consists of classic espressos, Americanos and macchiatos while incorporating some more eclectic recipes like banana hot chocolate and Nutella lattés. They’ve also got a few food options for hungry comic book perusers and hardworking students. And, if you’re into life-sized character figures, you’ll encounter plenty of those at this establishment. Within the café-goer scene, Dineen Coffee has a bit of an upscale reputation. But don’t let that scare you off! The Yonge location is super warm and welcoming and offers a generous amount of seating for chatting and working. However, the café is known to be constantly packed with business people, so make sure to grab a seat early. They offer an impressive range of drinks, with one of their seasonal fall drinks being the delicious Turmeric Gold latte pictured above. 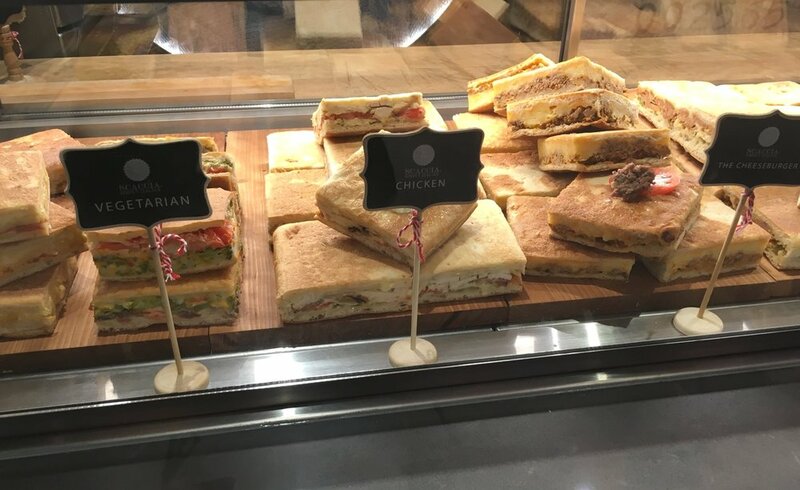 They offer a seemingly endless assortment of finger sandwiches, pastries, croissants and more—perfect for sharing with a friend. 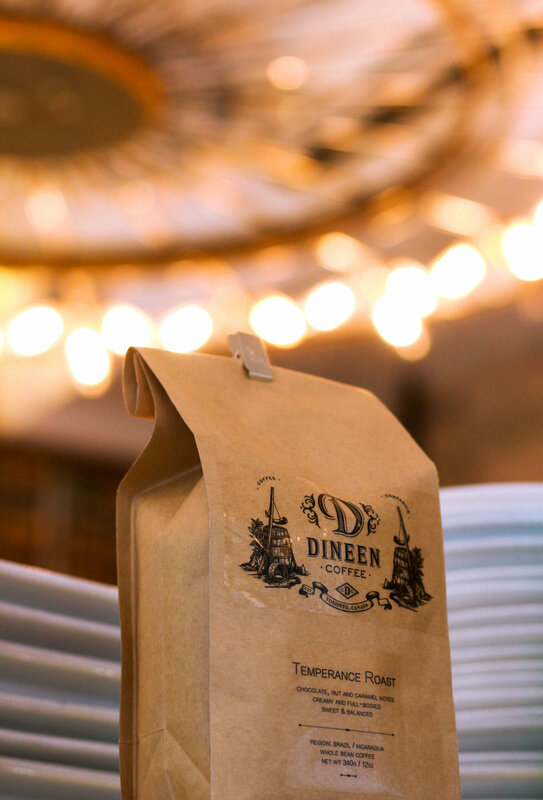 If you’re looking for somewhere with a nice mood, along with a bit of background noise to reduce those awkward silences, Dineen Coffee is your best bet. The gold accented decor, vested employees and classic, yet modern interior design really brings that timeless, fall ambience. Canadian food culture was at the forefront of the celebration at the annual Taste Canada Awards, held at the Fairmont Royal York in Toronto on Oct. 29. This year’s celebration focused on the role that food plays in Canadian culture. Her Honour Elizabeth Dowdeswell, the lieutenant-governor of Ontario, delivered opening remarks. Taste Canada, founded as a not-for-profit in 1988, brings together writers, publishers, chefs, farmers, industry, media and cookbook fans to celebrate Canada’s food culture. This year, 91 cookbooks and 50 food blogs were considered by the Taste Canada Award’s jury, which is comprised of volunteers from Canada’s culinary profession who are appointed by an independent selection committee. “Tonight, we celebrate two things that bind us together as Canadians: food and our stories,” said Dowdeswell. The evening started with an opening reception by Summer Fresh, the awards presentation, and an extraordinary gastronomic celebration. There were 26 first and second place awards that were revealed for both English and French publications in seven different categories: culinary narratives, general cookbooks, regional/cultural cookbooks, single-subject cookbooks, health and special diet cookbooks, general food blogs and finally, health and special diet blogs. Award winners included celebrity chefs Vikram Vij, who won gold in the “culinary narrative” category for his book Vij, and Lynn Crawford who won gold in the “general cookbook” category for her book Farm to Chef. Hall of Fame Awards – an award for a body of work that has impacted Canadian cuisine – were presented to Graham Kerr for his television cooking show The Galloping Gourmet and posthumously to the late Constance Hart who wrote Household Recipes and is considered the first Jewish person in Canada to write a cookbook. After the awards ceremony, guests were invited to a gala celebration hosted in the hotel’s grand foyer. Guests were invited to sample food from 12 recognized chefs including chef Ted Reader from Ted’s Famous BBQ, chef Matt Basile from Fidel Gastro’s and Fairmont Royal York’s very own chef jW Foster. Wine was provided by Niagara College’s Teaching Winery and an extravagant cheese plate was provided by the Dairy Farmers of Ontario, curated and presented by Quality Cheese Breads from Forno Cultura. Food insecurity in Canada is as prevalent as ever. But why are the soup cans we give away never enough? Canadian Octobers are replete with distinct events and celebrations. Among these are the annual Thanksgiving food drives held in schools and workplaces across the country, where families and individuals band together to accumulate as many bags and boxes of non-perishable food items as they can. Cabinets are emptied while people's’ hearts are fulfilled. So then, despite this outpouring of donations early October, why is food insecurity still an issue come November? How do food banks run out of supplies by the end of the year? Now that Thanksgiving has passed, it is important to keep the conversation going about feeding those in need. To begin understanding this issue, it is important to understand that food insecurity in Canada is a much larger issue than many are aware of. In 2012, it was reported that one in eight households in Canada were facing food insecurity. This means over four million Canadians -- and almost 1.2 million children -- are living in circumstances where they are struggling to feed themselves. It is also important to understand that it is not just jobless or homeless people who face food insecurity. According to Food Banks Canada, one in six people who visit food banks for help are employed and struggle to get food on the table due to insufficient income and mounting expenses. Knowing this, it’s plain to see why food banks are in such high demand. However, it may be expected that the amount of donations they receive during the Thanksgiving season should last for quite a while. Unfortunately, this is not the case. 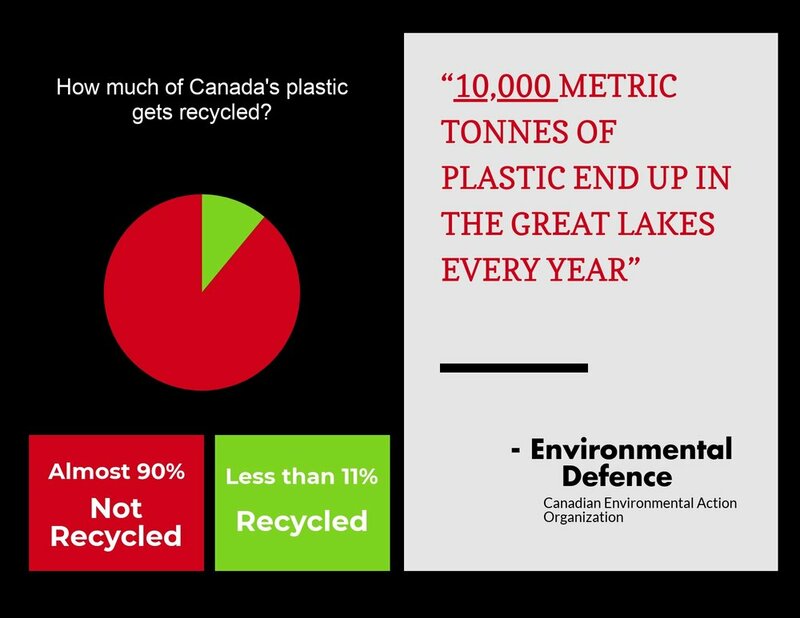 With over 850,000 people across Canada utilizing food banks every month, the influx of Thanksgiving donations only holds these organizations over for a small amount of time. By the time the new year comes around, many food banks find themselves back in the position they were in before October. In March 2016, a reported 863,492 Canadians accessed a food bank for its services. No matter how high the volume of donations from Thanksgiving food drives may be, these numbers show that they are not enough to sustain food banks for too long. The best way to keep these food banks stocked is to expand Thanksgiving food drives to becoming regular collections throughout the year. Institutions can hold quarterly food drives, bringing in items that would otherwise go to waste in people’s homes. On the other hand, individuals can dedicate their households to dropping off new or unused non-perishable food items to local food banks weekly or bi-weekly. Food banks are almost always looking for volunteer help, and taking part in this activity can help the public learn more about what these operations look like behind-the-scenes in order to better contribute. Those with the financial means can even look towards organizations through Food Banks Canada and different children’s aid societies in order to sponsor families or events. See our infographic below to learn more about the hard numbers associated with food insecurity in Canada. If you or anyone you know are in need of food bank assistance, or are looking to get involved with volunteering, you can find a food bank near you here. As fall looms, comfort food is starting to creep back into our lives, which is why Dal Moro’s Fresh Pasta To Go is a great place to help satisfy those carb cravings. 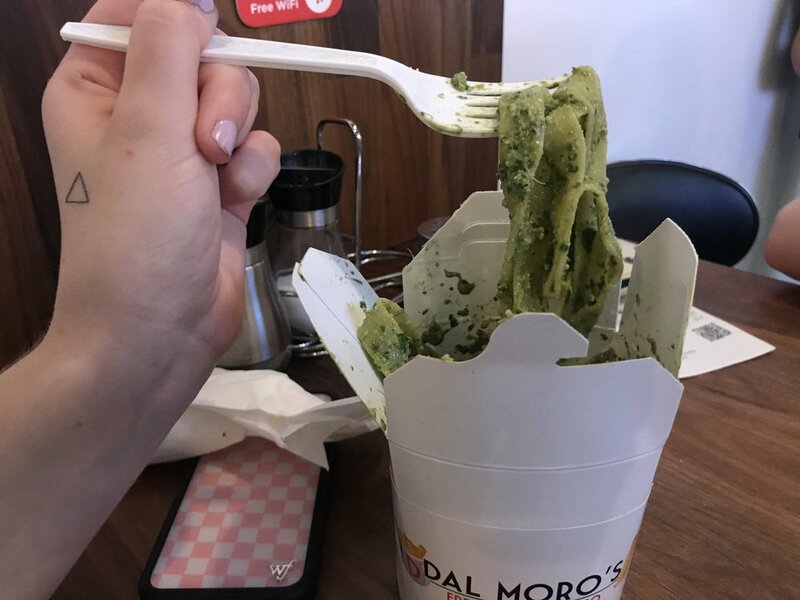 Located at 605 Yonge St. in the Church and Wellesley area, Dal Moro’s serves fresh, traditional pasta, conveniently placed in to-go containers (think of Chinese takeout). The quaint restaurant emits a delicious aroma as soon as you enter the door. It was like being back in my nonna’s house when she made her homemade Roma tomato sauce with meatballs. Nostalgia draws customers through the door before the flavourful fare even reaches their taste buds. To paint an even more charming image, you can spot long strands of spaghetti hanging from lanterns off the ceiling–which are also filled with even more pasta. Who wouldn’t love that? Venetian chef Gabriele Dal Maro first founded the business in 2012 in Venice with a vision to provide affordably-priced, authentic pasta dishes. The franchise also has a well-loved location in Barcelona, Spain. This Toronto location is its North American debut, bringing real flavours from Italy to across the pond. So what else makes Dal Moro’s unique from other pasta places? “We make the pasta fresh in-house every day in front of the customers,” said Celio, the store manager. The first step at this cozy food joint is to select your pasta: rigatoni, spaghetti, gnocchi, fusilli, fettuccine or linguine. 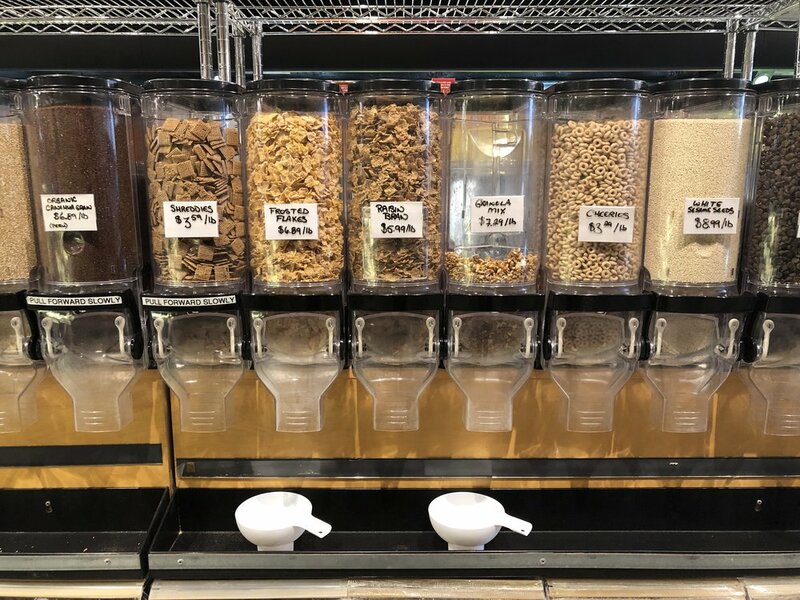 They provide small sample cups of each pasta in front of the cash register to show you what each looks like, so you don’t need to worry too much if you don’t know the difference. Next, you choose your sauce. You could go with one of the bestsellers–pesto or bolognese–or try something a little out of the ordinary, such as their nero di seppia (squid ink) sauce. Along with the meat and seafood classics, they offer multiple vegan and vegetarian sauce options. Mamma Rosa, alla Norma, al Formaggi and pesto are vegetarian, while Pomodoro and Aglio olio peperoncino are vegan. Celio also noted that the pasta noodles are egg-free and therefore vegan. Other sauces include amatriciana, chicken alfredo and Frutti di Mare, which is a (delicious) seafood sauce. Some would say certain sauces go well with a specific type of pasta noodle, say, spaghetti bolognese or fettuccine alfredo, but you can always mix it up and try something new. I, myself, tried bolognese with rigatoni, and found it to be better than the classic combo. After choosing your pasta and sauce, you can add extra toppings like seafood, chicken, bacon, green olives, mushrooms or mozzarella for an extra $1 to $2. Parmesan, chilli flakes and garlic powder are free of charge. Celio said the busiest times of the day are between 12 p.m. to 3 p.m. and 6 p.m. 8 p.m. While there are a few tables with enough room to fit four people, it would be best to avoid these times to get yourself and your friends a seat. “This is a good place to go out with friends for a fun experience,” said Rosie Leonard, a customer at Dal Moro’s. However, Leonard doesn’t recommend trying it for a date as she referred to the pesto sauce she said she found on her chin and forehead. Dal Moro’s also offers soft drinks, beers and wines, along with a homemade tiramisu dessert, making this a great place to chill out and relax with friends at the end of a long day. Wash your hands, get your lab coat on and prepare to conduct your own flavour experiment at Toronto’s first do-it-yourself bubble tea store - Labothéry. Located on 717 Bay St., Labothéry is a unique bubble tea store that allows customers to craft their own signature drinks. There are six steps in the science of crafting a tea at Labothéry: grab a tray, pick a drink – hot/cold, milk tea, fresh tea, or slush base ($3.25), select a sugar syrup ($1 per vial), choose your dairy option and grab any extra toppings for additional costs. The sixth step? Enjoy your signature tea. With 16 syrup flavours (ranging from passion fruit and peach, to lemon and lychee) and 12 powders (including taro, matcha and red bean), it is unlikely that any two customers will design the same tea consecutively. 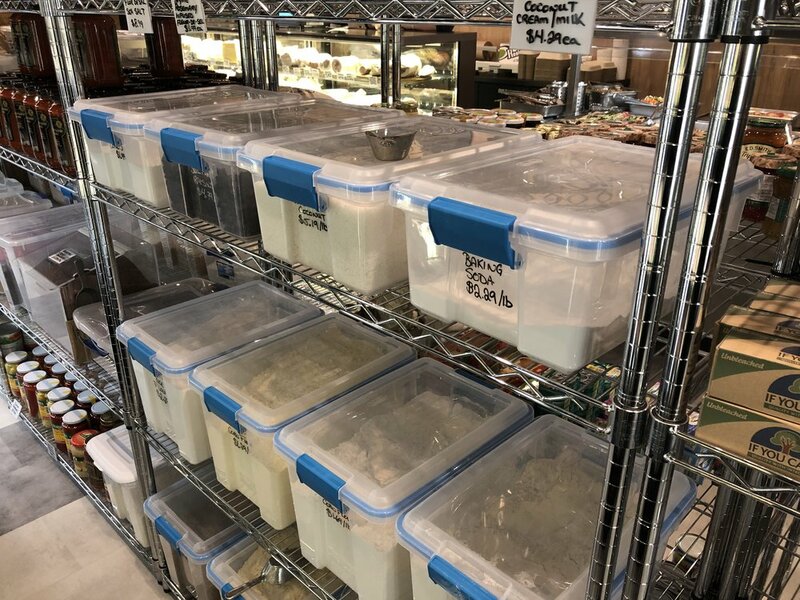 Sticking to their science lab theme, the store has an overall stainless-steel look completed with syrup in syringes, powders in vials, petri dishes, beaker light bulbs and employees in lab coats. Employees, known as lab technicians, are more than willing to walk each customer through the process. Russell McLean visited the Labothéry for the first-time and said his experience “was easy,” and that “the employees offered advice on which flavours mixed well, which flavours to avoid mixing and what the next step was.” This made the experience stress free -- even for first-time drinkers. Labothéry is a place you have to experience yourself – conduct an experiment and create your very own bubble tea formula. Currently, this is Labothéry’s only location. However, it was announced last week that the store will be expanding to a second location in the PATH at Richmond Adelaide-Centre on 120 Adelaide St. West. In the meantime, you can follow them on Instagram.